This episode I host US based producer Earwig. Earwig makes chunky, funky edits as a part of the Shoes Crew, dark and heavy ethnic beats with Broken Compass and also runs the edits/remix label Plimsoll Records. The Earwig solo palette includes elements of afro-latin, dub, and techy future vibes. Recent remixes for Tal M. Klein “House on the Left” and the Automats “Pass Me By” showcase the Shoe sound. Also look for Earwig on SoundCloud and Discogs. 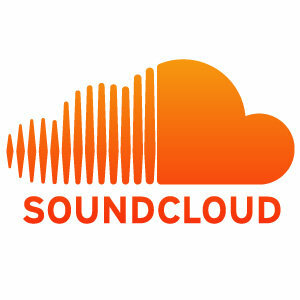 Also you can find more about Plimsoll Records on SoundCloud, MixCloud, Facebook, and Discogs. If you like this mix, please take the time to go to my Facebook page and ‘like’ me there. I certainly will like that. And if you want a copy of just Shoe’s mix feel free to grab it here. 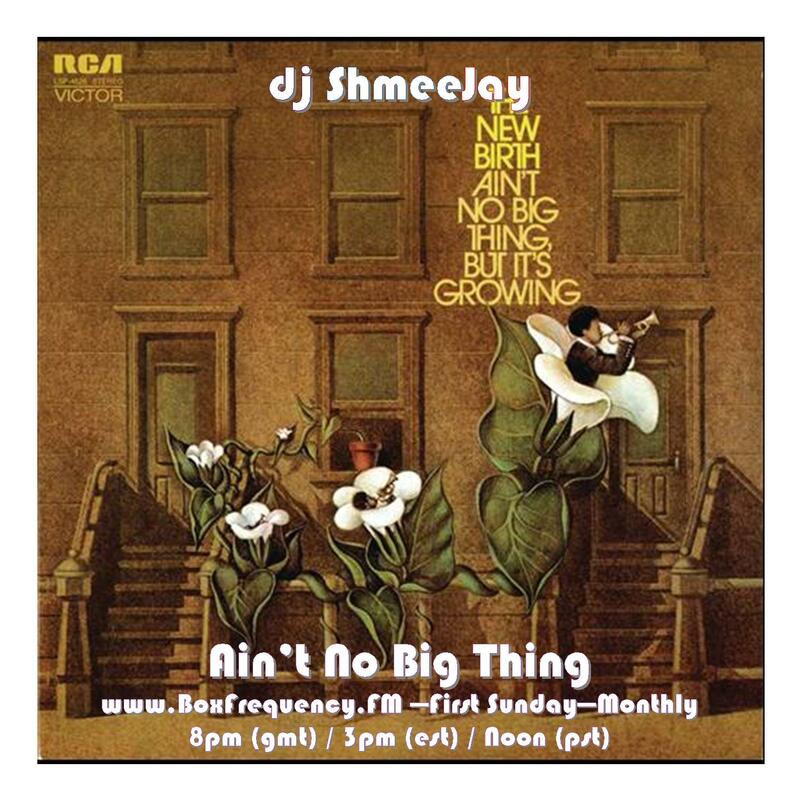 dj ShmeeJay‘s Ain’t No Big Thing radio show, live on the first Sunday of every month from 8pm – 11pm (GMT) / 3pm – 6pm (EST) / Noon – 3pm (PST) on BoxFrequency.fm. If you like this mix, please take the time to go to my Facebook page and ‘like’ me there. I certainly will like that. And if not sooner, I’ll see you in a month for the next broadcast on May 4, 2014. 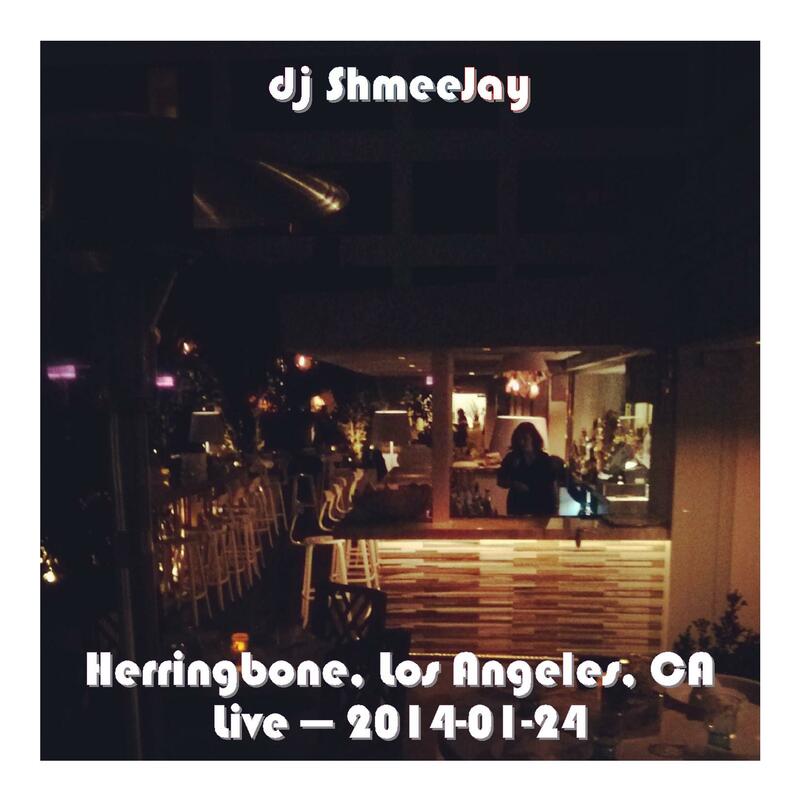 Recorded live at the new Herringbone location in Los Angeles, California. Thanks to the fantastic Recipe For Sound crew for hosting me, as well as special shout out to Chris Clemo putting up with me.